so we recommend that this is your first stop when looking for African clothing. 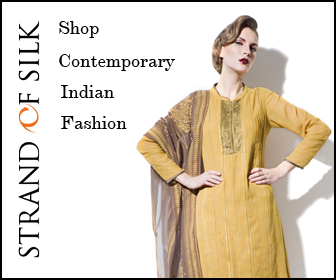 Strand of Silk has the best contemporary fashion for evening wear, day wear and occasion wear, including weddings. Modern and Traditional Indian designer feature collections for both women and men. Their clothing and accessories have been featured in leading magazines including Wedding magazine. Size XL stocked in everything for women , but they can custom make to any size you want. They have Kaftans, Lehengas, Anarkalis, Salwar Kameez, Tunics, Tops, Dresses, Jackets and Trousers. They also have XXL in stock in traditional and modern mens clothing, and can custom make Bandh Galas, Kurtas, Sherwanis, Jackets and more to any big and tall size. Although most people think of EBay as a place for used stuff, we have found that many online retailers who now have their own shops and online stores started out on EBay. Currently there are a lot of African and Asian based E-Bay shop businesses offering cheap but quality clothing, and many of these merchants have excellent feedback ratings. We have hyperlinked the blue links above to go straight to the relevant EBay sections.
" The largest online Islamic Department Store for everything you need for men women, and children. Lowest prices, highest quality! We have xxxl and more. We do custom clothing as well for both men and women in SUPER sizes! SHOP THE DESERT!!! " Oriental Fashions of China, Inc - established in '96 in China and '99 in U.S.A and Canada.